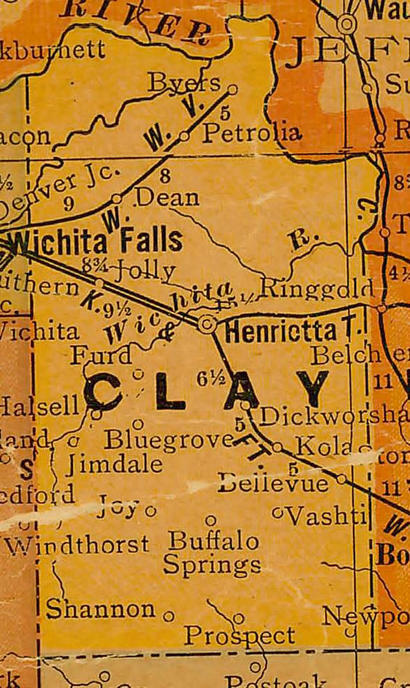 Other than its appearance on this 1920 map of Clay County, little is known of Furd. Nearby Halsell, Texas was submerged during the construction of Lake Arrowhead in 1965 and it’s possible that Furd shared the same fate. As more information becomes available, it will be added to this page.